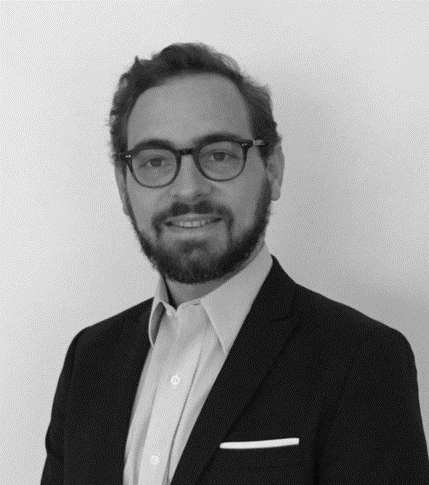 Traackr has partnered with Olivier Cimelière for this interview, which is part of our global series “Influencer Marketing at Scale”. Despite being a venerable century-old group, L’Oréal was quick to embrace the topic of digital influence that's been disrupting brand communication and marketing. For Traackr, Olivier Cimelière met with Marc Duquesnoy, Social Media Performance Director for the L’Oréal Group's Global CDO Team, to explore how the world's beauty leader is developing and designing online activities with influencers in 150 countries across which the company boasts over 250 million social media followers*. Ploughing 38%* of its media budget into digital, L’Oréal has turned digital into one of its main communication and marketing strategy drivers. Yet this approach remains an ambitious and challenging exercise to roll out across a portfolio made up of 34 brands*, each with values, positionings and core targets that differ/vary from one market and generation to the other. The challenge is to reconcile global consistency and local relevance to generate as much relational impact as possible with influencers and their communities. [OC] How and why did influencer marketing become one of L’Oréal's top digital strategy priorities? [MD] Influencing our ecosystem has always been an intrinsic part of L’Oréal’s activities. Well before digital reshuffled the cards, hairdressers were the first influencers recommending our products to their clients. Then magazines, opinion leaders and celebrities became influence drivers to nurture this word-of-mouth, which remains essential for brand adoption. The rapid ascent of digital influencers has naturally led us to broaden our communication and marketing strategy. These influencers increase our legitimacy and act as trustworthy relays to our consumers. This is all the more important since consumers are increasingly wary of advertising and brand messages, but also better informed, notably thanks to influencers’ content. Influencers play a bigger role though, as they create trends and trigger new dynamics around topics closely related to L’Oréal brands. When it comes to beauty marketing, we are now seeing Digital Native Brands emerging. An example of this is model Kylie Jenner, who joined forces with Nip + Fab, a range of cosmetics available exclusively online and promoted via social media. I could also mention the make-up brand Anastasia Beverly Hills, which emerged in a similar way. Those with a huge following that transcend national borders, with whom we tend to focus on short to long-term contractual relations and at times exclusivities and co-creations. Local micro-influencers that are just as important as they speak to very specific communities. With them, we are more in the realm of product sends, or invitation to an event or an experience. [OC] How is organized your influencer marketing strategy, considering that the L’Oréal group has a portfolio of 34 brands and operates in 150 countries? How do you manage such a complexity when market realities can vary from one region to another? [MD] Roles are precisely and pragmatically divided up. 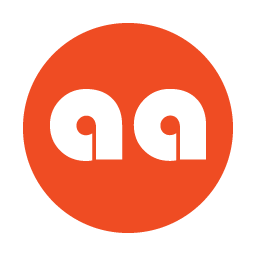 The International Marketing Direction is tasked with developing and overseeing the image platform for each brand, drawing on rules and guidelines that local markets need to follow. It is also in charge of managing directly some global influencers and internationally renowned figureheads. L’Oréal Paris is an example of this, having taken on French actress Louise Bourgoin as brand ambassador in May 2018. She then made her first appearance at the Cannes Film Festival. A few days before, Isabelle Adjani also joined the circle, and revealed the news on her own Instagram account. Photo taken during “YSL Beauty Club” in Vietnam. However, developing and consolidating engagement with influencers and their communities is a local affair split between our Marketing, Communication and Digital teams, depending on the brand's objectives and criteria. An illustration of this is the Face Awards by makeup brand NYX. Over the past three years and in different countries, amateurs and professionals have been invited to create their own makeup looks based on given themes, and upload their creations to YouTube and Instagram. The best looks are awarded by a jury made up of L’Oréal representatives and local influencers and are then carried through to a worldwide final held in a prestigious location. The interconnection between global and local is constant. Global can launch initiatives such as the “YSL Beauty Club”, an online boutique and pop-up nightclub that tours the world. Behind-the-scenes images of the event are mainly shared on Instagram with support from the local teams. To date, London, Los Angeles, Berlin and Paris have already hosted the “Yves Saint Laurent Beauty Club“. [OC] If I understand correctly, there is still a great deal of freedom in terms of influencer marketing within L’Oréal. Is there not at times a risk of budget loss or a dilution of the messages? [MD] Heavy-handedly imposing a rigid framework on each brand, permanently and irrespective of location, is not part of L’Oréal’s culture. L’Oréal has always sought to put initiative first. But that doesn't mean that people should work according to their inventiveness of the day! Every brand sets out its working methods and defines the content to be used to support its influencer marketing. Except for a handful of specific global brands, the structuring effort of brands’ local governance is critical. Local teams need to develop a granular knowledge of their influencers and the ability to assess their potential influence in specific areas. This approach is absolutely crucial to limit overlaps in expression territories between influencers, and also to avoid message saturation, which scrambles/blurs the impact and doesn't necessarily optimize allocated budgets. That's where a platform like Traackr becomes a precious asset. It helps us fine-tune our understanding of the local ecosystem, put forward really interesting influencer profiles and better calibrate budget ressources. This management is essential. It enables us to anticipate, monitor activities and measure ROI for each country. [OC] Which teams are primarily involved in influencer marketing activities? Because of its PR and press culture, Communication is central to transforming the relationships with the influencers and their communities. Digital is more involved in technological aspects such as selecting the professional softwares and platforms, like Traackr, that we use. They also work on operations and the exploitation of statistical and analytical data. Finally, Marketing is responsible for designing a 360-degree approach and defining budget allocation between online and offline, based on the well-established model combining “earned, owned, shared and paid media” in order to generate interactions, viralisation and business leads. We also have agencies working on these aspects, supporting and advising us to optimize operations. [OC] How are these direct relationships important for L’Oréal brands? [MD] It's crucial that we have a proper understanding of our influencers' audiences. What do their communities expect, what are their usages? 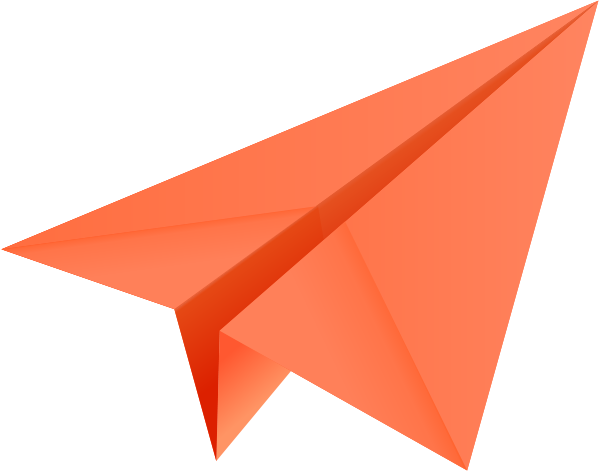 This in-depth understanding allows us to refine our customer targeting and gives us insight into their typical day. This is based on four key criteria: Awareness (the brand's visibility), Consideration (the brand's credibility), Purchase (the act of buying) and Recommendation (word-of-mouth and loyalty). Depending on how a brand is perceived on a given market, we'll then more or less emphasize one or several criteria using digital initiatives and offline activities. However, I have noticed that with digital, influence can be quick. Customers can get a product's price on Instagram for instance. If they're convinced, they can then directly click over to an online store. [OC] What do you think are the key upcoming stakes for influencer marketing? The first relates to influencer relationships and budget optimization. The focus on the Return On Investment is going to grow, as digital programs get/are deployed. The General Data Protection Regulation (GDPR) enforcement in the European Union from May 25th 2018 signals the growing pressure regulators and consumers will put on the use of personal data. This legal aspect is something we’ll need to more and more integrate. Finally, e-reputation risks are more sensitive than ever. This is why it's so important to know the influencers you choose to work with, to avoid any nasty surprises. Beyond these three topics, innovation will keep on being essential to stand out from the crowd. Using influencers is starting to feel a little jaded now for the influencers themselves as well as for some advertisers. We need to focus on authentic voices. Consumers aren't naive. This means we always need to find new activations to convince influencers to work with us. This might mean collaborating on developing a long-term brand, for example. The idea is to avoid taking a scattergun approach and to do as per the english saying: fewer but bigger! [OC] How do you draw up influencer strategies for brands that all belong to the L’Oréal group, but which operate in very different worlds? 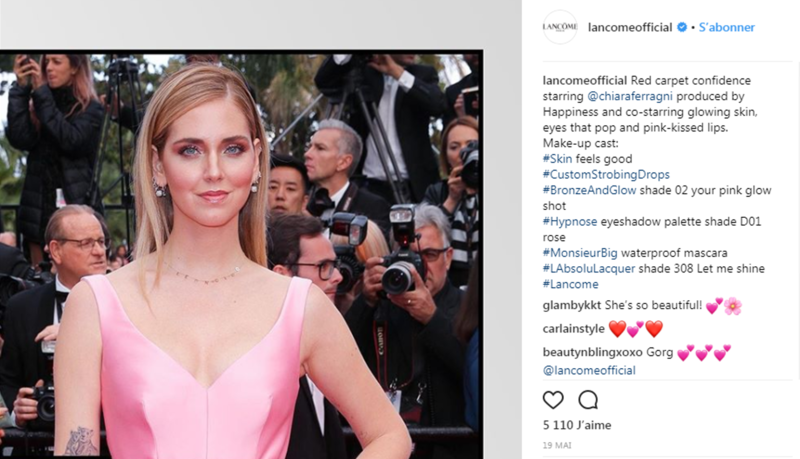 The blogger Chiara Ferragni, new face for Lancôme. [MD] This comes back to what I said earlier: we have to understand each brand's specific ecosystem in order to define a coherent targeting with relevant actions. Take dermatologic brand La Roche Posay, for example. It's core target is both B2B (healthcare professionals) and B2C (consumers with skincare problems). Among them, we have to detect the most appropriate influencers and come up with meaningful marketing activities. But there's no point in replicating across brands. Lancôme, for example, is much more of a status brand, and therefore supported by well-known faces in the luxury world. That's why star blogger Chiara Ferragni was chosen to become the face of the brand in March 2018, which proved to be a massive hit with her fans around the world. Another good example is cosmetics brand Kiehl's for which the local aspect is key, as their products are mainly implanted in retail. It always require asking ourselves the right questions and listening to social media before developing a plan. That being said, influencer marketing can also come from inside the company. Last April at L’Oréal, we launched Seed Phytonutrients, a new beauty brand which DNA is local environmental responsibility and with seeds being its star ingredient. Working with three other collaborators, farmer and L’Oréal General Brand Manager Shane Wolf came up with the concept, and is now also the figurehead of the brand promotion. Ultimately, humanization is the real influence! Olivier Cimelière is founding president of Heuristik Communications, a boutique consultancy specialized in communication strategy, reputation management and editorial influence for leaders and companies. A former journalist in print media and radio, he then held corporate communication responsibilities within large international companies such as Bœhringer Ingelheim, Nestlé Waters, Ericsson, Google and Ipsos.